I love when filmmakers think outside of the box and use movies to truly impact lives. Darren Moorman is one of those filmmakers. He has teamed up with the Association of Gospel Rescue Missions to create life changing Red Carpet Movie Premieres. On October 18, volunteers and donors in 150 cities will have the opportunity to attend Red Carpet screenings of SAME KIND OF DIFFERENT AS ME and money will be raised to support homeless. Then two days later on October 20, the movie releases theatrically to the rest of the country, opening up awareness and discussion about homelessness. 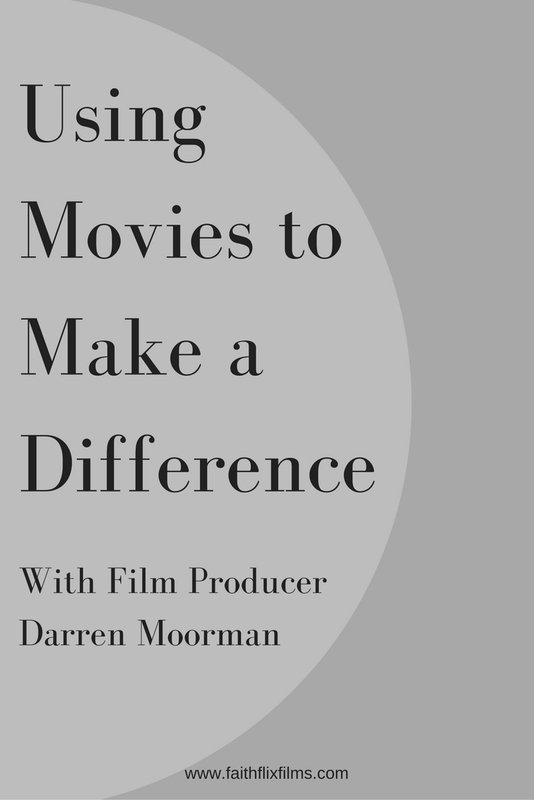 I’m excited to let Darren Moorman share with you about the movie and his innovative partnership. Tell us a bit about SAME KIND OF DIFFERENT AS ME and your involvement with it. I fell in love with the book almost ten years ago, and was the first film producer to reach out to the authors Ron Hall and Denver Moore, and fortunately through lots of twists and turns, I ended up being the producer that got the opportunity to champion this amazing story. I was able to raise independent capital, and then take it into Paramount Pictures through a great friend of mine who was on the Paramount lot at the time. Not only was I fortunate enough to produce the movie SAME KIND OF DIFFERENT AS ME with Paramount Pictures co-financing and distributing it, but also with Academy Award winning talent Renee Zellweger, Greg Kinnear, Djimon Hounsou, and Jon Voight. Let’s just say, Sometimes dreams do come true!!!! This story is powerful and moving, with beautiful themes of forgiveness, hope, healing, but most of all, I thought this is authentic, and I wanted to tell a true story that wasn’t afraid to be honest! How does the movie compare with the book? I’m way too close to the project to answer that. Why don’t you go see the movie and tell me that you love the movie more than the book! What do you hope that filmgoers will get out of the movie? That there is always hope, that forgiveness can change everything, and that every life matters! 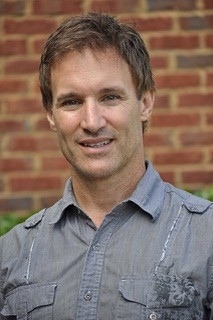 Tell us about your partnership with the Association of Gospel Rescue Missions. John Ashmen President of the AGRM has been a passionate supporter of this film from the beginning. They have become an amazing partner! What exactly is Red Carpet for Homeless? How can readers find out if a Red Carpet for Homeless event will be held in their area? Check with the website, www.samekindofdifferentasmemovie.com . They may have some updates on locations. What can people do if they’d like to help but don’t have a local event? What are some additional inspirational projects that you are working on? I have been so fortunate to be in a position to produce some incredible movie projects, two of them are in post production already, RUN THE RACE and INDIVISIBLE, and they will be released theatrically in 2018. On my slate of other upcoming projects there are several that are so amazingly beautiful, projects like NORTHERN LIGHTS, THROUGH THE STORM, and the DOG WHISPERER. All are true stories that have moved me just reading about them, and I want to bring them to life on the big screen! SAME KIND OF DIFFERENT AS ME is based on the New York Times best-seller of the same name and recounts the inspiring true story of a successful businessman with a broken marriage, an emotionally scarred homeless man with sensitivity beyond his circumstances, and the woman who helped them experience a bond that crossed the racial and socioeconomic divides that could have separated them. 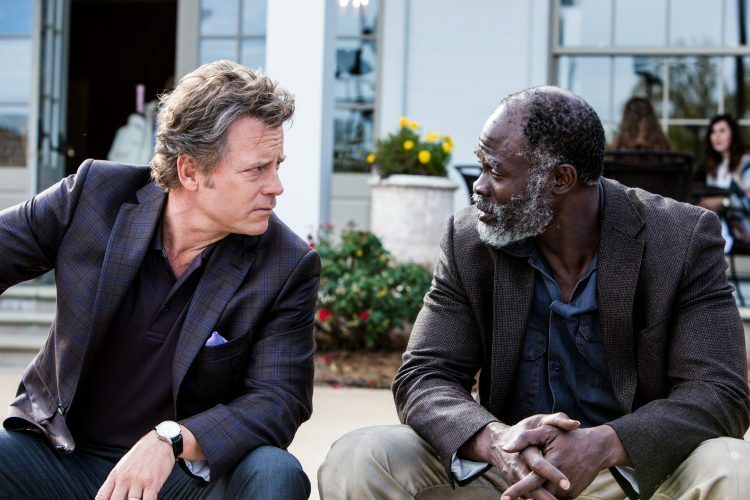 The film follows Ron Hall (Greg Kinnear) an international art dealer, whose home life in Dallas is nowhere near as fulfilling as his professional one. He has long since stopped working on anything but appearances in his marriage, a practice he likely inherited from his estranged alcoholic father (Jon Voight). But when his wife, Debbie (Renée Zellweger), discovers his infidelity, she offers him forgiveness – and in an effort to restore their marriage, he joins her in volunteering at a local homeless shelter. Congratulations Darren, God has so blessed you, with your wonderful family and the passion and knowledge to share the beauty of God’s love. God is good. Darren, I am writing a script about a wealthy powerful cult which has destroyed millions of lives. They used mind control, brainwashing, and aversion therapy on the only man I ever loved, snd took him away from me in 1977. I went to England to rescue him and ended up becoming the most famous woman in British press history! I have had thousands of news articles written about me, but they are mostly untrue and defamatory. I am looking for s Christian producer who knows what a false prophet and cultic brainwashing is,. And who can help me tell the story BEHIND the headlines. If may have been fate that I ran into a young man named Elijah who attends the Expressions 58 Church in Glendale, as when I told him that I was looking for a Christian producer in Hollywood, he told me about you and said that you were going to speak at his church Saturday night. I will be there to meet you with bells on. I am truly blessed. I’m in my sixties with long blonde hair. My name is Joyce. Look for me! My phone number is 206 401 4334.